As a Franchisor we are committed to provide the best service we can. We believe in a bright future of and if you decide to be a part of our organization you will believe too and enjoy all the benefits from it. The initial term of the franchise agreement is 10 years with an additional 10 years extension (subject to contingencies). 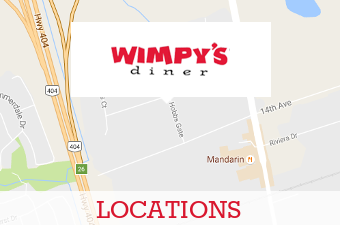 Diner franchise is available to all qualified candidates throughout Canada. 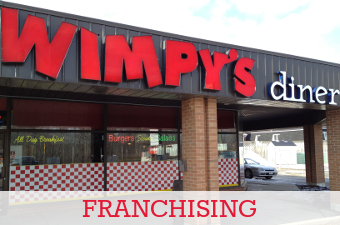 The cost of a Franchise varies from $250,000 to $500,000 plus H.S.T. depending on the size and condition of the location. The seating ranges in our restaurants from between 50 to 100+ seats. Seating capacity is approx 2000sqft 3500sqft. We will establish your territory adjusted to market conditions and population density surrounding your location. Turn Key Operation also an option offered in the Diner Franchise. Territory rights are available upon approval of a designated area and chosen upon availability. It is a great opportunity which gives you ongoing royalties for life (some conditions apply). Master franchise is available throughout Canada. 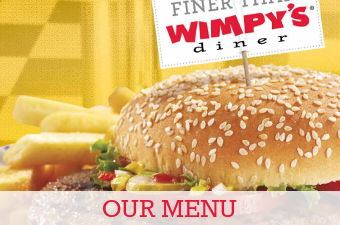 Why should I get a Wimpy’s Diner franchise? Diner is fast becoming a household name – creating a strong sense of pride not only for those associated with the company’s history, but also for those associated with its future development. We chose this concept because we believe in it. We created this concept because it works. We serve food that attracts from the youngest to the oldest person. We believe in quality, quantity and service. Our number of loyal clientele is significantly increasing as a result of our variety and quality of the food that we offer. Getting involved with this the franchise you are getting an already proven brand with an already developed concept and system. All these years we’ve gained trust from our customers, we improved our system, we choose only the finest products and now they know what to expect when they walk in to any of our locations. They are confident that they will receive: High quality food, good service and good prices. 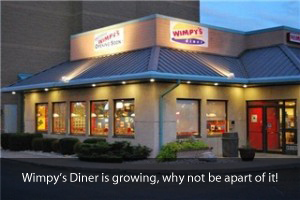 Can I become a part of Wimpy’s family? Yes, we are always accepting qualified candidates for franchises. If you feel that your passion is strong enough, then certainly we can help you out. With operating a you will have a proven concept that really works, a concept that is upgrading constantly with the market place needs, a set up system in place, and training for easy adjusting. You will gain knowledge of business techniques, lifetime support, research, development and the most important thing is You control the security of your job. You need to fill out the application listed under franchise info, Upon receiving the application, we will review all the details and someone will contact you between 2-4 weeks.